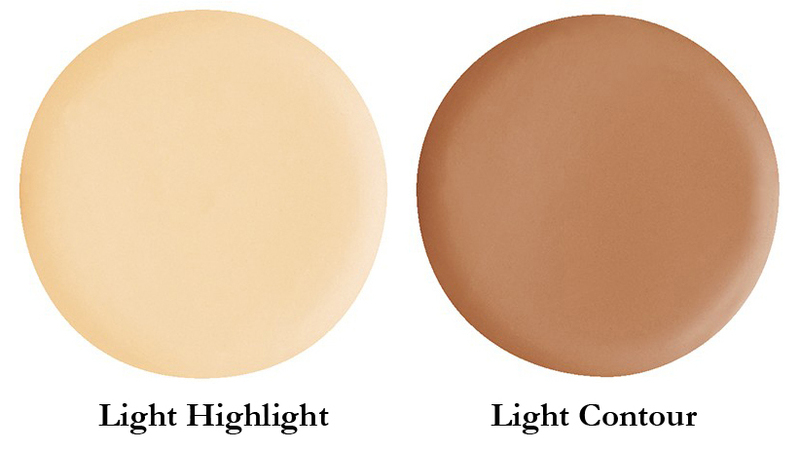 Use the Contour Brush to apply the Contour shade along both sides of the nose. 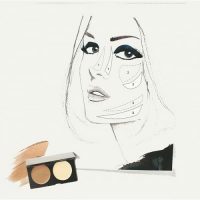 Apply the highlight shade to the center strip of the nose sarting at the top and going down. Blend well. Tilt chin up toward the ceiling. Use the Contour Brush to sweep the Contour shade at a downward angle across the jawline on either side of the chin. Using the Highlight shade, add a line right above the perimeter of the jawline. Blend well. 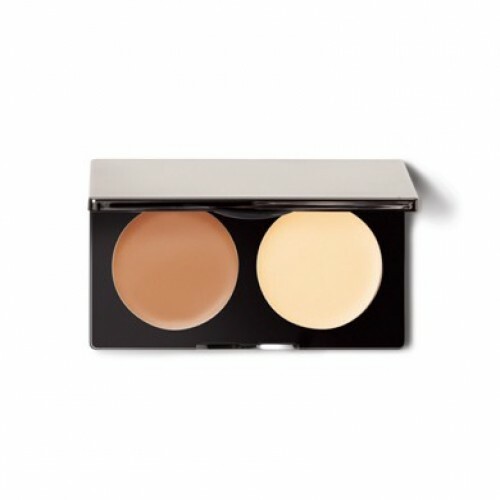 Use the Contour Brush to apply the Contour shade under the entire length of the cheekbone.